This time around the Fickle Finger has absolutely no discernible topic...it is purely the music that the FF has been pointing at with some frequency in the last few weeks. We hope you enjoy the playlist ! 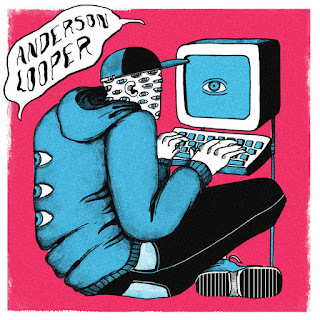 Baltimore Maryland, two piece Anderson Looper (Neil Moloney and Kyle Balkin) describe their sound as 'all sorts of musical things' in their bio for this self titled debut EP. 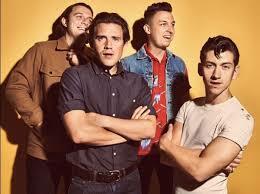 Indeed they visit all sorts of musical genres and twist them around their strange electronica. However the release is book-ended by two superb twisted jangled pop mutations in this track and the gloriously fragile Radio Silence, which has ensured that the Bandcamp follow button is well and truly pressed to gather up any future brilliance. JPH did a #DailyJanglePop theme on 'great cover tracks' and one of the @janglepophub Twitter followers (apologies, I am too lazy to check who!) came up with this 2003 The Special Pillow track, penned by their front man Dan Cuddy. 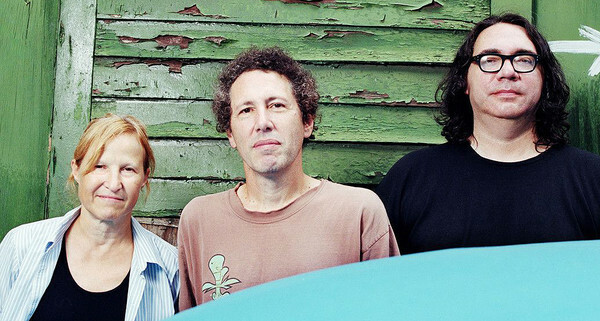 It's Yo La Tengo playing glowing, greasy jangle-pop in a manner I am not accustomed too from and is from their brilliant 2015 album Stuff Like That There, out of Matador. You know that Barbara Manning that you all love so much from her time in a whole host of bands, especially the likes of World of Pooh and S.F.Seals...? Well 28th Day was her first band that she formed with Marquis Cole (latterly with The Downsiders and The Snowmen). 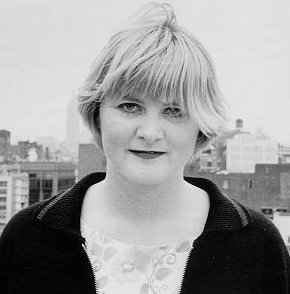 She eventually moved on to grasp more song-writing control, but before that she helped to create a tiny, but perfectly formed legacy of college rock style jangle-pop with this band. This track is from their eponymous and only album released out of Enigma Records in 1985. The mid 2000's saw the Arctic Monkey's aggressive indie/lad rock leading the fight against Franz Ferdinand / Bloc Party and their Postcard revivalism. However, there were times where they stopped screaming about how good someone might look on a dance floor or opining a visit to a riot van. I would like to think it was in one these moments that this glorious twanging jangle was spawned. From their Whatever People Say I Am, That's What I'm Not debut album out of the Domino Recordings Label. 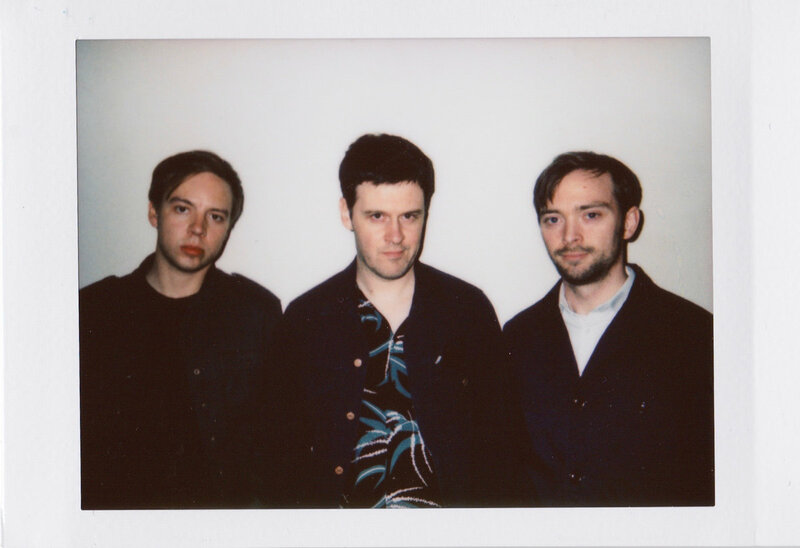 Any band that the Domino Recording Co label make their latest signings usually present their own band of aggressive jangle-pop which is delivered with just that bit of spit and snarl that is so synonymous with the label. Washington DC's Flasher carry on this noble tradition on their debut Constant Image album and prove that their brilliance self titled debut EP was no mere fluke. Flyer single from the latest album (Rockpool Blue) Northern Ireland's finest purveyors of swirling indie-pop jangle, Sea Pinks. They have gone to some lengths to state that this might be their last album together, without actually categorically stating it is the case. Either way the album is due out on 28 September 2018 and if their previous six albums since 2010 are any indication, then it will be full of lush beautiful jangle-pop for us to either remember them by or ignite an unquenchable thirst for more. Belgian national Dieter Sermeus made his name in the 1990's, fronting the band Orange Black before sidestepping rock and going into a more indie-pop direction with Go Find where he touched upon a more jangle-pop oriented guitar sound. 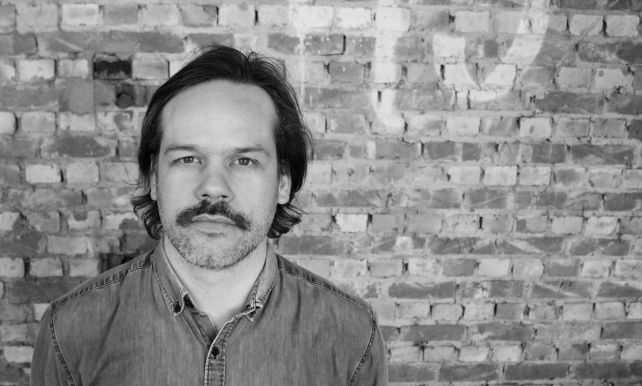 However, in my opinion, his latest incarnation, under the Dieter Von Deurne & The Politics sees him crash head long into a muted college rock sound / jangle-pop sounds which produces his finest album yet from a very distinguished career. 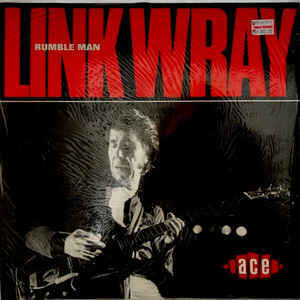 Our first deviation from all things modern jangle, takes us into the late 80's realms of one of the works greatest guitarists, Link Wray who was able to turn his hand to all manner of guitar stylistic and genres, all of which he delivered in his own inimitable style. This track from his Rumble Man album stutters, judders and jangles in all the best but gloriously wrong places! Life can be a bit dull sometimes with the likes of Kourtney Kardashian splitting up with her husband every few months, Bono 'surprising' everyone by wearing sunglasses inside and the British Government managing to stall Brexit year after year whilst desperately wishing they had not been drinking when deciding upon whether a referendum was a 'good thing'. Chicago based four piece Ne-Hi, released one of the most underrated albums of 2017 in their quite brilliant sophomore album 'Offers', after moving from the Manic Static to the Grand Jury label. 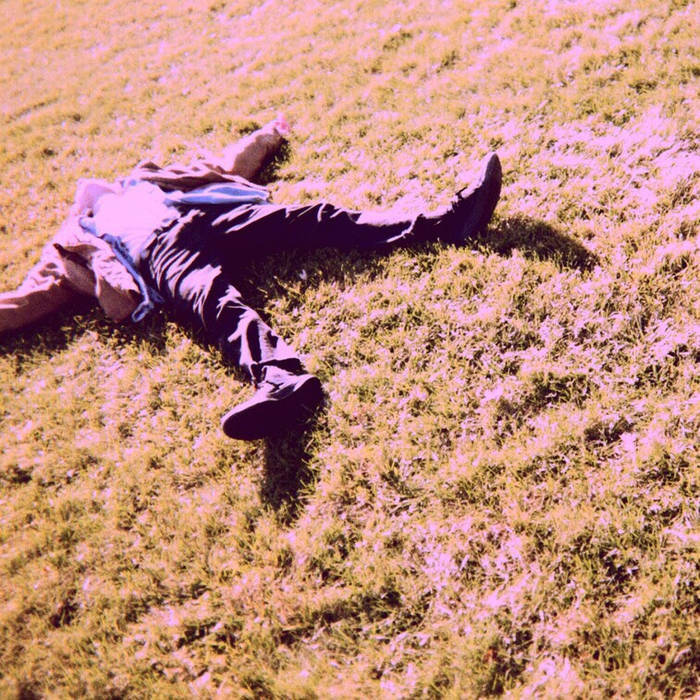 However it is still this track from their self-titled 2014 debut that I turn to repeatedly for my pre-Friday night beer routine with its warped mixture of psyche/jangle and blissed out indie rock providing the perfect impetus for that glorious once a week session with my mates! 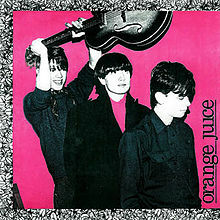 This b-side to the Falling and Laughing single was not only the darling of early 1980's University / Polytechnic radio stations, but also signaled the start of something very different to the generally miserable Goth, The Cure, Echo and the Bunnymen grumpy, forboding type aesthetic that had stolen the non commercial airwaves at the time. Despite only being a B-side and an instrumental at that, this may well have been the track most responsible for getting the Postcard Records label the momentum it deserved. 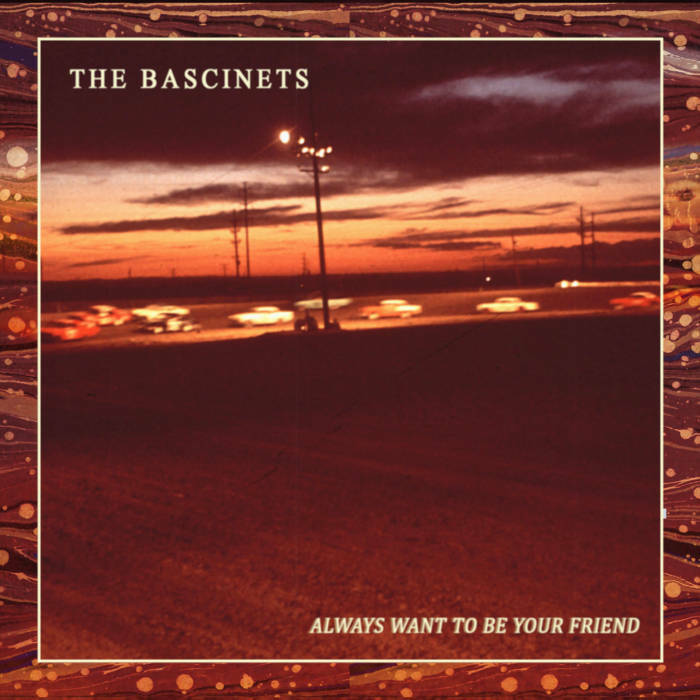 Janglepophub reviewed The Bascinets brilliant 2018 EP 378 Vol. 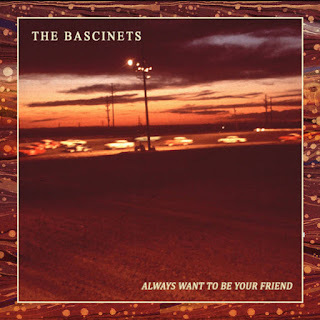 1 recently (review here) which reignited my adoration of the 2017 full length release Always Want to be Your Friend and especially this superlative track from it. Post review communications with the band confirms that 'Vol.2' is being recorded and will be out soon and if their is any justice in the musical world the consistent brilliance of their output should receive some much overdue recognition. Unfortunately the 'Kingdom of Musical Cool' is and always has been a veritable breeding ground for inverse snobbery and The Bodines suffered more than most at the hands of the perpetrators. 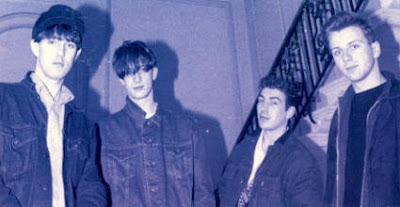 Then the big boys came knocking and they signed for a major (Magnet Records), who in a very un-major like manor, allowed them what appears to complete artistic control on their debut album Played which was exactly the same aesthetic as the Creation singles and in some notable cases such as this track, even better. That did not matter...because you see, they had joined a major and that sort of stuff matters to those lucky enough to have entered 'Kingdom of Musical Cool' ! The first two eponymous The House of Love album's from the very late 1980's are, 'perhaps' correctly, still considered as the bands' joint magnum opus. However if I was to don a Wurzel Gummidge type argumentative and contrary head I would hold up this album and especially this track. 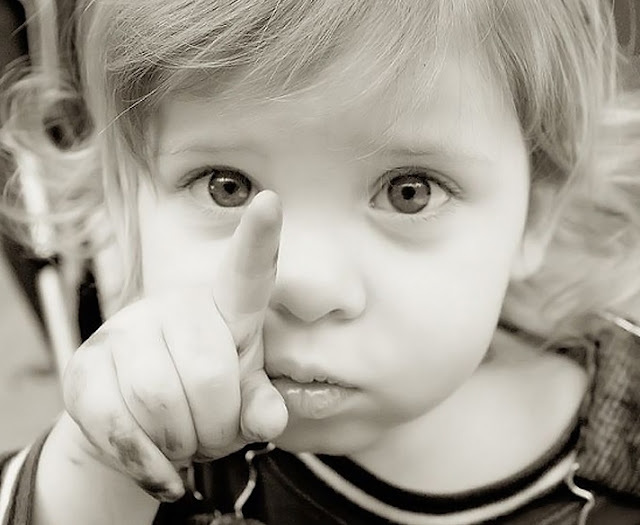 as my point of contrary defiance. 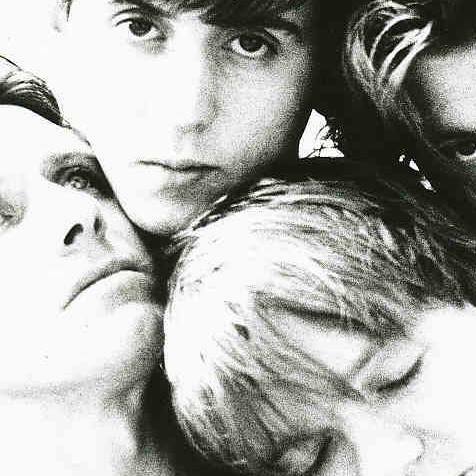 This track superbly displays how in the face of all things baggy and Madchester in the early 1990's, the band added just that little bit of spaced out bliss to their swirling guitars to often brilliant effect. So you like the track posted above from the Lost Ships (see #9)? Well, certainly a large number of the janglepophub readership did as the link on the review has received massive 'clickage' (or whatever the word is that people who are tech savvy call it) ? 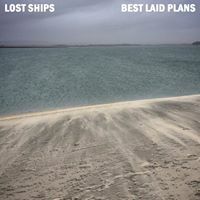 Well this is the same band from 20 years ago, who re-united as the Lost Ships after finding that exactly 972 mainly American bands had used their name in the interim period when they were away being adults somewhere. No worries, they were just as good back then. 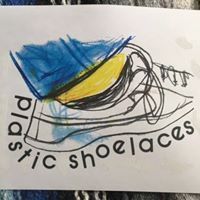 The Plastic Shoelaces fit perfectly after two 80's and 90's jangle-pop tracks, as they have that sort of bouncing, laconically vocalized aesthetic all held together by the slightest reference points to the remnants of the post-punk chunky bass lines of yesterday. All delivered with the more modern squelchy guitar work that is beginning to typify today's jangle-pop era....absolutely great stuff out of the Secret Center cassette label. I could feel the last few tracks of the playlist getting just that little bit too 'nice'. Just that little bit too pretty perhaps? 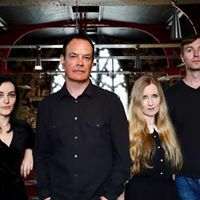 As such who better to muddy the water and present us with some janglepop that mixes all things belligerent, incessant and just incredibly cool, than The Wedding Present. Those that follow the blog regularly will know that we have some very committed TWP fans (including myself) especially on our @janglepophub Twitter page and as such I offer no apologies should tracks such as this one from the George Best Plus album keep finding a regular way onto the Fickle Finger play lists. 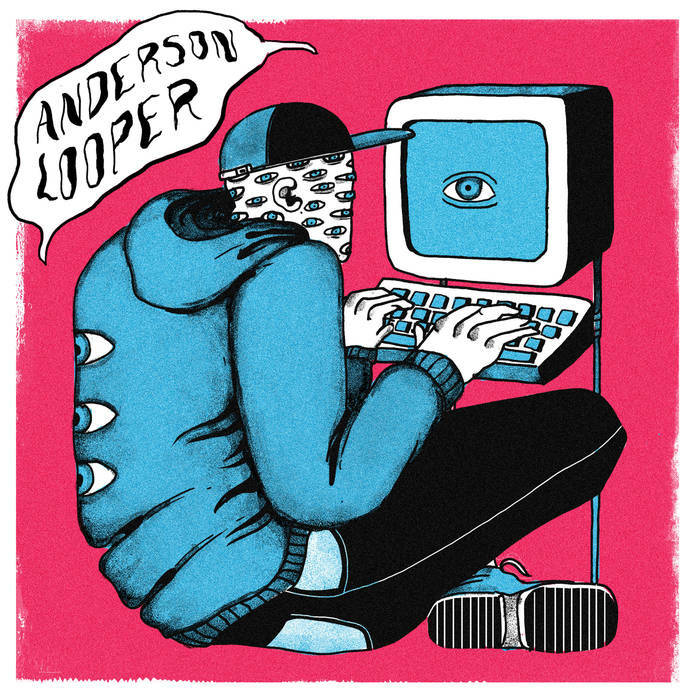 From the three track Wonders EP, self released in August 2018, this solo artist (Evan Ashworth) is from the same town and musical camp (Lansing, Michigan) that has also released similar bedroom-pop janglers in the form of Andrew Younker's critically acclaimed work. With a similar aesthetic as Younker and a not inconsiderable talent, Van Swane is probably just another couple of releases away from similar 'underground Bandcamp adulation'. This French indie-pop act could never be considered a jangle-pop band such is the proliferation of keyboards in their generally indie-chic sound. 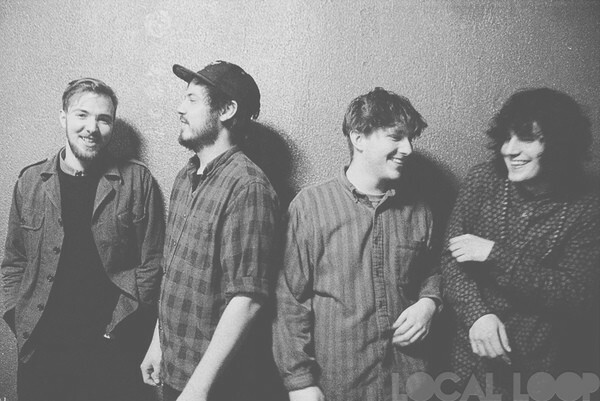 However, since 2001 they have released five albums and all of them have included at least a couple of absolute jangle-pop bangers, such as this track from their latest 2018 album Modern Express. 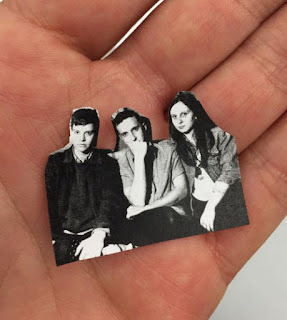 The release is touted in its promotional literature as being their final full album release and I for one will miss their output, no matter how infrequent, greatly. Whilst 2018's self released Post album has deservedly been receiving massive amounts of critical acclaim, coincidentally it is the two albums out of the Woodsist label, 2012's eponymous album and the 2015 release which this track is the brilliant title track for, that still remain my definitive favourites. 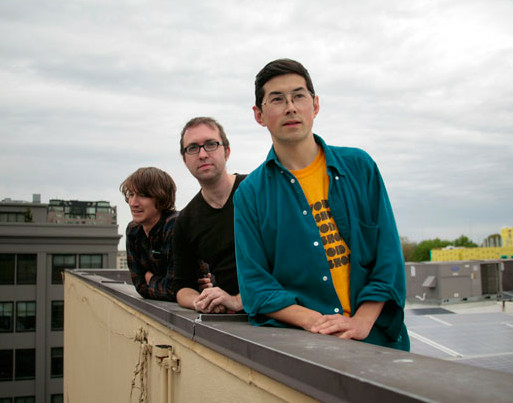 Sloppy, occasional strangulated jangle-pop at its finest is what you get from this Portland. Oregon based band. Is there a playable link with this edition? Great site you have here!